Apart from enjoying the spectacular street food, turn your next weekend getaway to Penang into a relaxing affair and chill at these amazing Penang hotels and resorts without having to break the bank! With its wide array of delectable street food, ambient coastal vibes and charming heritage, Penang easily ranks as one of the top travel destinations in the region. But apart from chasing down famous street murals and going on a food hunt for the best char koay teow (my personal favourite is the one on Siam Road) in this Insta-worthy city, knowing how to choose the best hotel or resort for your stay is equally important as well. And the good news? They’re all pretty affordable! So without further ado, here are 10 hotels and resorts under $200/night for your next weekend getaway to Penang. Prepare yourself for an unrivalled sense of relaxation! 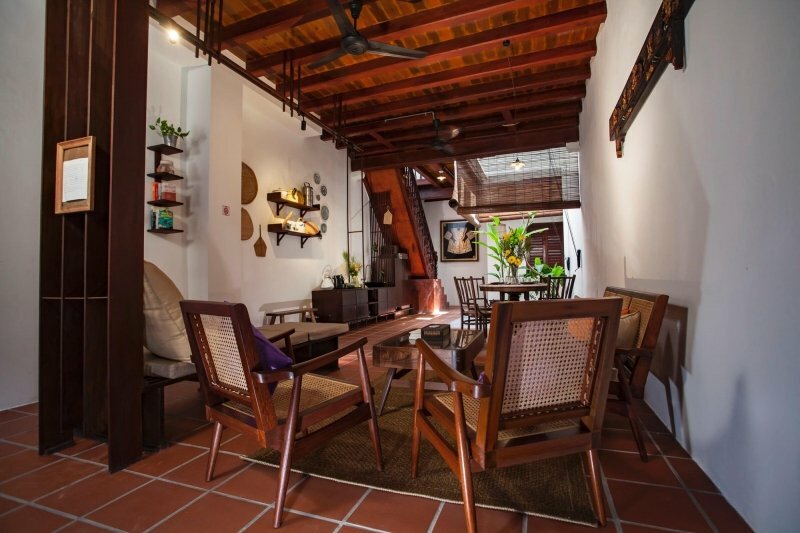 Looking for fantastic deals and affordable prices for the perfect accommodation in Penang? Then check out these incredible deals from only SGD37* per night at AirAsiaGo! Whether you like staying in a heritage hotel in George Town or relaxing in the comfort of luxurious resorts such as PARKROYAL Penang Resort, you’re sure to find something which suits your fancy. Book by 31 Mar 2019 to enjoy awesome savings! 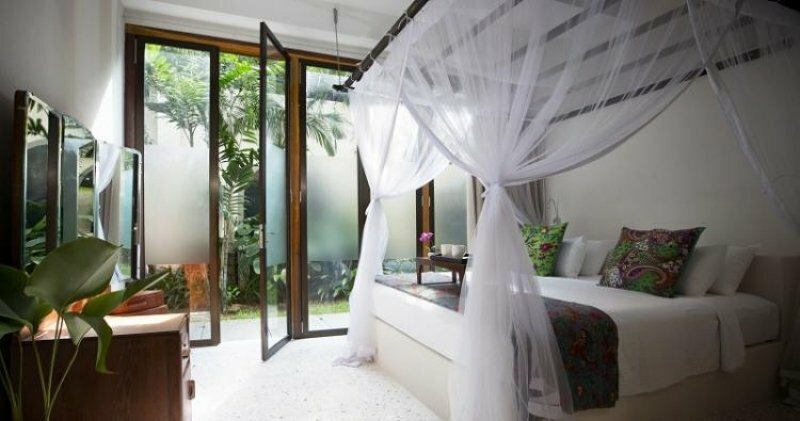 Even though we can’t all be Crazy Rich Asians, you can certainly book a stay at one of the movie’s filming locations! 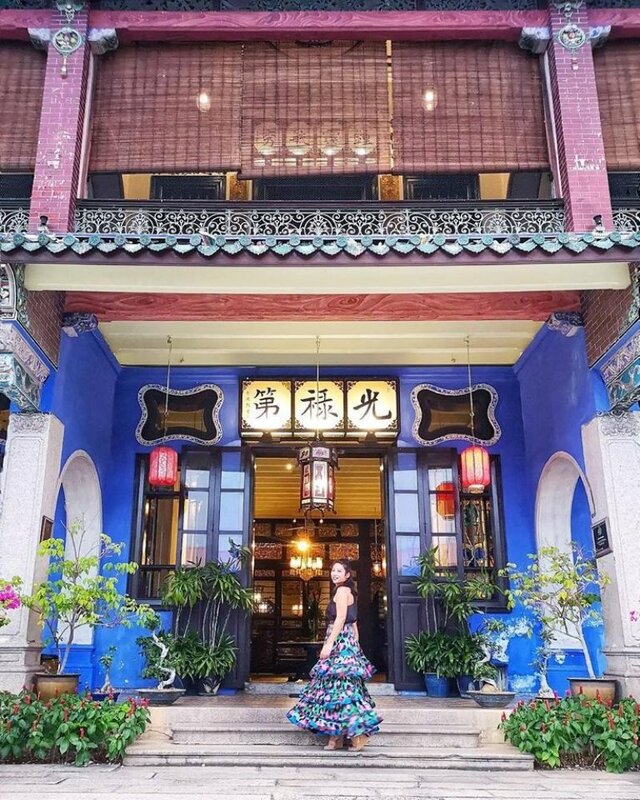 Yes, the Cheong Fatt Tze Mansion (a.k.a the Blue Mansion) is actually a museum/boutique hotel with a rich history. The mansion was built in the late 19th century, but has since undergone renovation. Today, it is one of Penang’s most famous heritage hotels. The main crux of the renovation focused on using traditional materials and methods with minimal modern techniques to retain the unique cultural vibe. There are four room types in total, each named after different Chinese imperial dynasties: Ming, Han, Liang, and Tang. 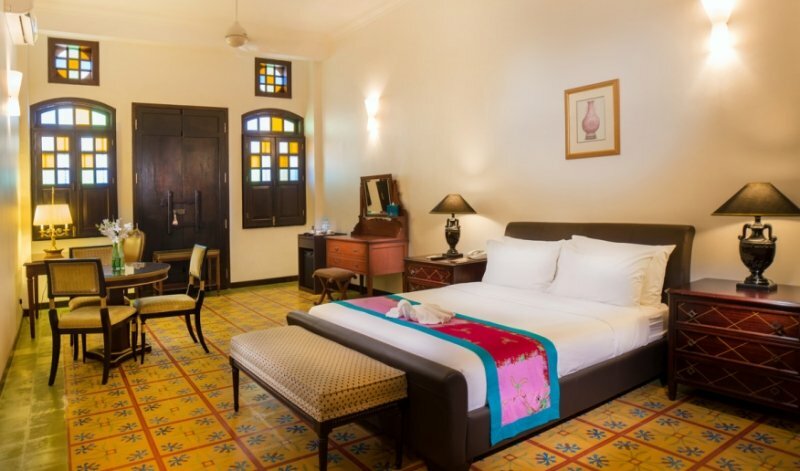 As you might expect, the mainstay of the rooms are vintage Chinese antique furniture and classic interior decor. Apart from spending the night, you can also sign up for a tour of the adjoining museum. Avid photographers will also go Insta-crazy at the sight of the many photogenic locations throughout the mansion. 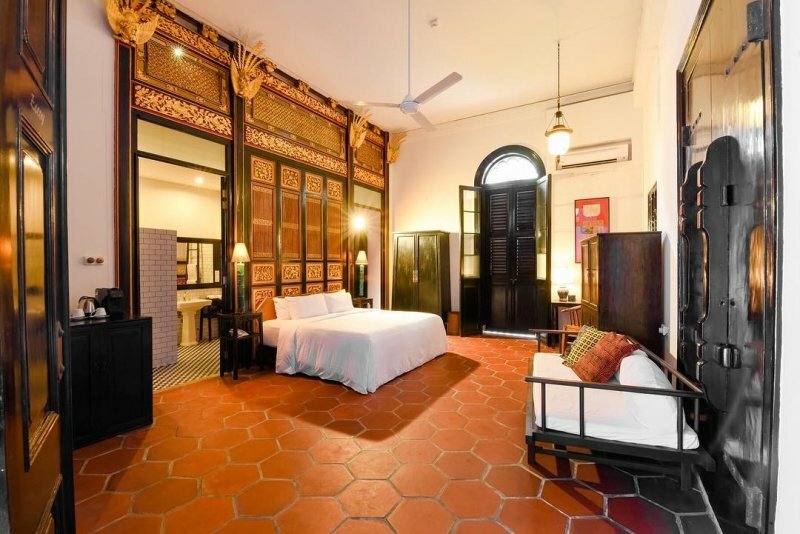 A stay at the Cheong Fatt Tze Mansion not only allows you to soak in the cultural heritage of Penang, it’s also easier for you to reach George Town, which is only a few minutes’ drive away. Campbell House Penang is located on Campbell Street (duh!) and is within walking distance of some of the best eateries and cafes in George Town. Location aside, this quaint hotel is quite a stunning establishment, if not for anything then for its ability to perfectly strike a balance between heritage and modernity. While most parts of the building feature vintage motifs, you’ll still find modern comforts you’d expect at more conventional hotels. However, the brightest selling point of Campbell House is still its rustic heritage vibe. Furnished like the interior of an old family home, the rooms in Campbell House are gorgeously pleasing to the eye. Looking at Campbell House, you’d probably be forgiven to think that the in-house eatery serves only traditional cuisine. Surprisingly, it serves authentic Venetian cuisine that is guaranteed to tickle your taste buds. Specially handcrafted by experienced chefs, the menu changes regularly to reflect seasonal tastes. 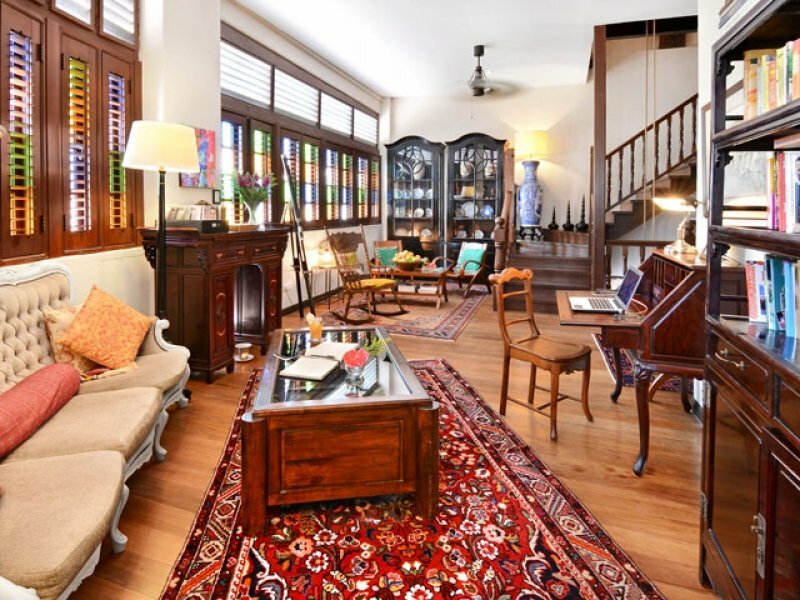 Yeng Keng Hotel used to be an old Anglo-Indian bungalow before it was turned into this stylish boutique hotel. 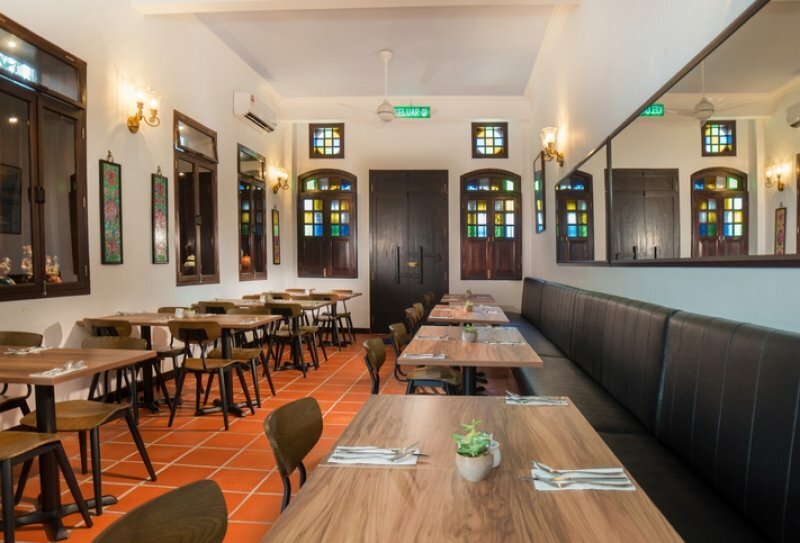 Featuring antique decor and wooden panel floors, Yeng Keng Hotel is one of the best-restored buildings in the city, and you can stay here at affordable rates too. While the establishment only has 19 rooms and suites, all of them are aesthetically pleasing and offer homey comforts. 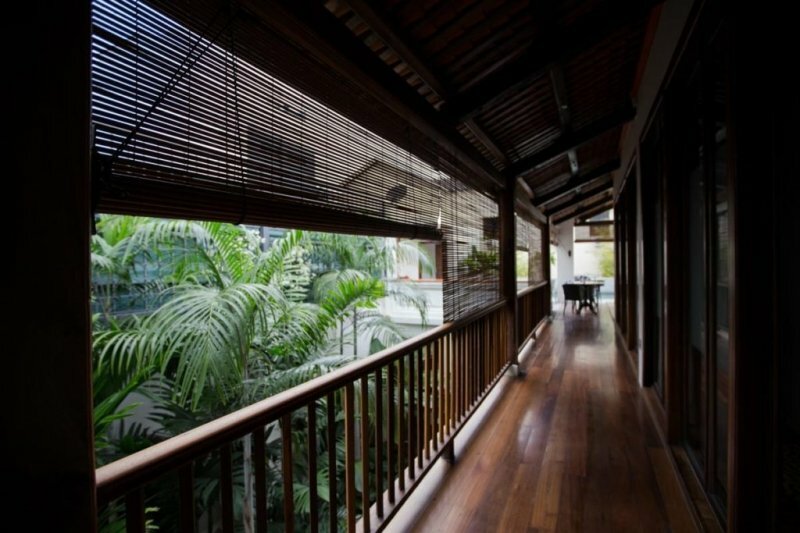 Most of the rooms also come with a patio overlooking the bustling scenes of Chulia Street as well. A room with a view – what more can you ask for? What’s more, within the brightly boutique hotel, you’ll also find an outdoor swimming pool, an in-house restaurant, and even a bar where you can enjoy a drink in a private and cozy atmosphere. So if you’re looking for a place to stay where you can get close to the local culture, you can’t go wrong with Yeng Keng Hotel. You wouldn’t know it looking at the verdant greenery and elegant decor now, but Muntri Grove used to be a row of 10 simple houses formerly housing workers who laboured for the wealthy families on Muntri Street. Restoration works began on the rundown houses in 2013 but much of the original architecture was retained with only minor additions to make the original structure stronger. The result is the elegant boutique hotel that you see today. 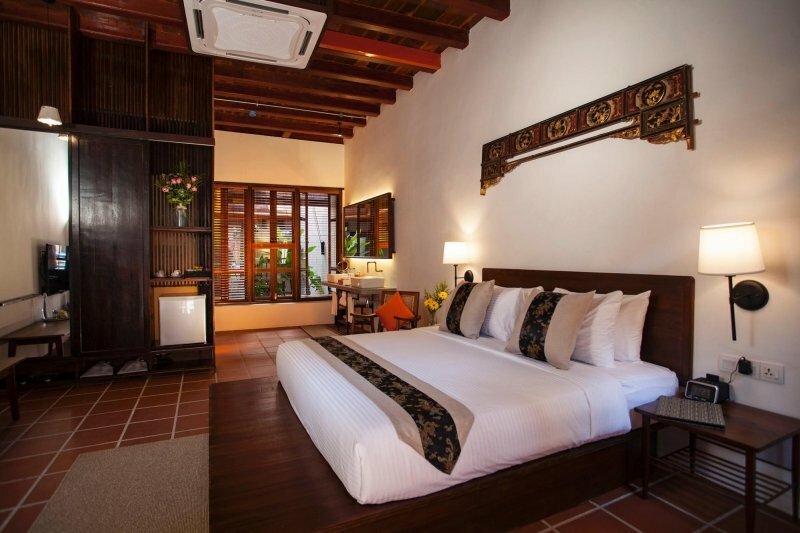 Each of the 10 houses has been transformed into spacious guest rooms that offer visitors rest and relaxation away from the crowds and the scorching Penang sun. Akin to an oasis in the desert, Muntri Grove employs minimalist designs and colour schemes to really bring out the contrasting verdant greenery around it. Feel free to enjoy the lush gardens and take some time to truly rejuvenate after a rough day out. And trust us, thanks to Muntri Groves’ impeccable location close to many of George Town’s top attractions, you will surely be moving about a lot during your stay here! Most of us are probably familiar with the Khoo Kongsi clan hall. After all, it is one of Penang’s most iconic heritage sites in the heart of George Town. But did you know that surrounding this majestic attraction are unique boutique residences where you can spend a night or two in? The Clans Kongsi Georgetown first opened in July 2017 after extensive restoration works. 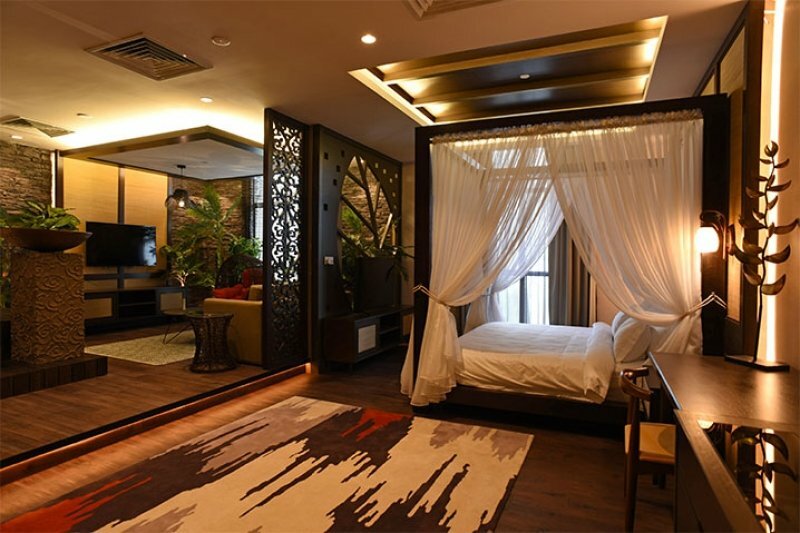 The old terrace houses (previously used to house newcomers fresh off the boat from China) around the Khoo Kongsi Clan Hall were transformed into specially-themed guestrooms, split into five different varieties. Each room type at Clans Kongsi is decked out with elegant decorations that have been restored to retain its original heritage and vibe. Housed in the 16 terrace houses, the air-conditioned rooms come with high-speed Internet and LED televisions, bringing guests a touch of modern comfort. Each of the terrace houses feature three guestrooms and guests are free to mingle in the common areas where they can also enjoy some natural lighting and light refreshments. In terms of location, the Clans Kongsi is right in the heart of Penang’s UNESCO Heritage area. This allows quick access to many heritage sites and, perhaps most importantly, to a kaleidoscope of dining options and eateries! 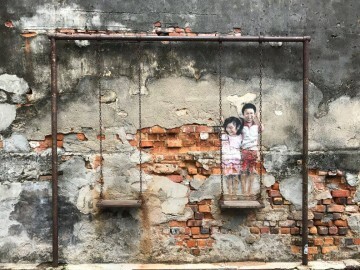 What’s more, if you’re looking to develop a deeper love for Penang’s heritage, you can sign up for the free morning walks (subject to weather) offered as well. If you truly want to experience the rich history of Penang, then you can’t go wrong with a stay at the homey Areca Hotel. 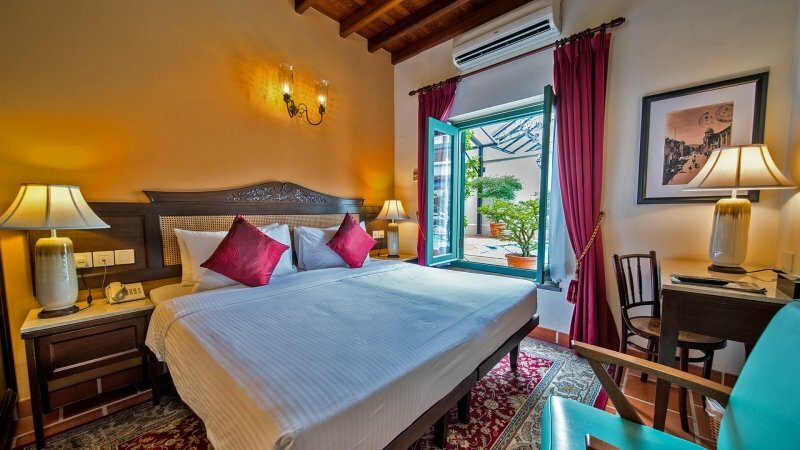 Conveniently situated within the heart of George Town, this boutique heritage hotel offers guests the chance to fully immerse oneself in the vibrant culture of the city. There are 48 rooms in the hotel spread throughout 12 newly-renovated pre-war shop houses. The rooms typically range from luxurious family suites to cozy garden rooms. The most impressive rooms however, are the majestic heritage suites. Regardless of your choice of room type, you’ll be instantly fall for the colourful decor, homey atmosphere, and vintage furniture. What’s more, the onsite cafe feels like a classic canteen thanks to the atmosphere created by the tiled floors and wooden tables. A meal would almost certainly be a nostalgic affair that walks you down memory lane. Despite its modest look, the cafe actually serves tantalising European cuisine specially designed by a Swiss chef. If you’re looking for a reprieve from the onslaught of scrumptious Penang street food, you’re in for a real treat. 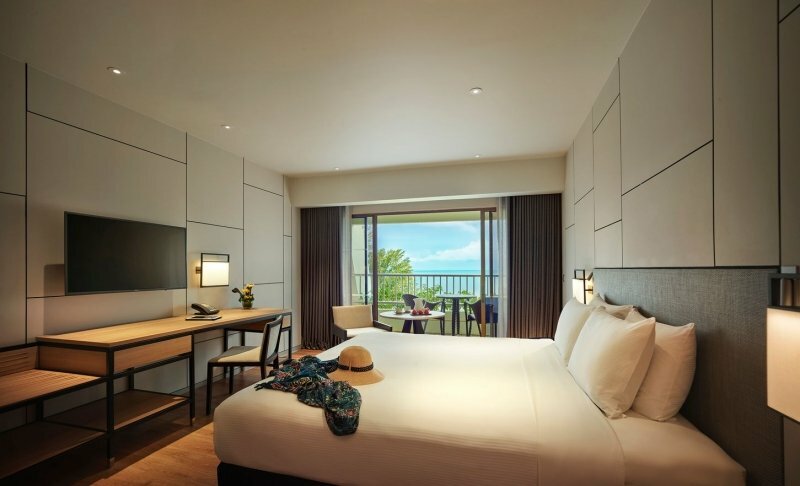 Located along the shores of Batu Ferringhi is ParkRoyal Penang, a stunning five-star beach resort that has long been a local favourite in Penang. Having undergone some recent refurbishment, the resort offers some luxurious new rooms and sports a slick new look. This is evident the moment you walk into the lobby. Apart from the comfortable rooms and impressive decor, there are also plenty of exciting activities on offer. After the aforementioned renovation works, ParkRoyal Penang Resort now features a lush tropical garden, a relaxing spa, a water sports centre and even a brand new water theme park along with other unique amenities! Children will be especially excited by the water theme park as it features two large water slides which specifically designed for young ones. You can also hop on a jet ski or go parasailing at the onsite water sports centre! Looking for a workout? Hit the gym and maybe make use of the jacuzzi and steam room after a nice workout. In terms of culinary experiences, the mainstay of the resort is Cinnamon Asian Kitchen. Famous for its live cooking demonstrations, the restaurant is a gateway to some of the best Asian cuisine around! 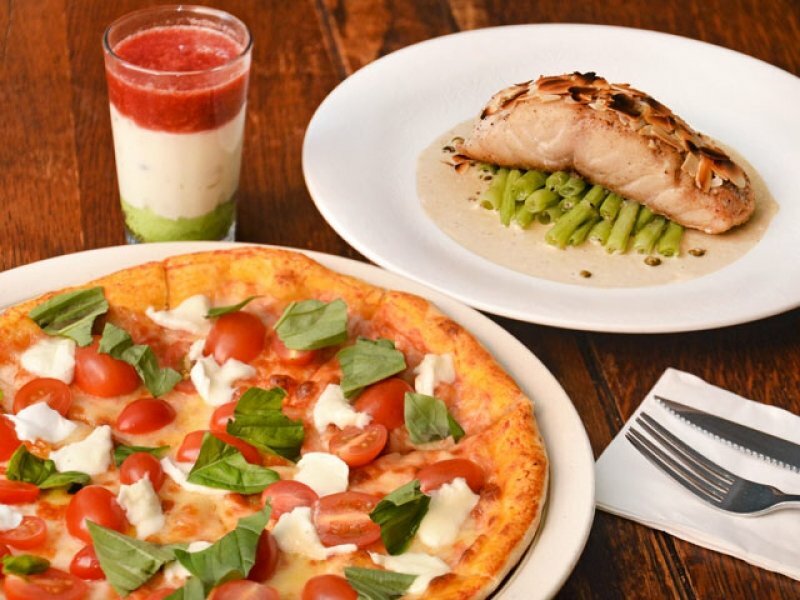 What’s more, if you’re a romantic at heart, one of ParkRoyal Penang’s newest additions is Gustoso, an Italian restaurant at which you can arrange a lovely dinner by the beach with your loved one(s). Now that’s an unforgettable island experience! All in all, the new-look ParkRoyal Resort will certainly get you right into the holiday mood. In fact, this chic resort may well be the perfect destination for a dreamy beach getaway! The Hilton brand needs no introduction when it comes to luxurious hotels and resorts! 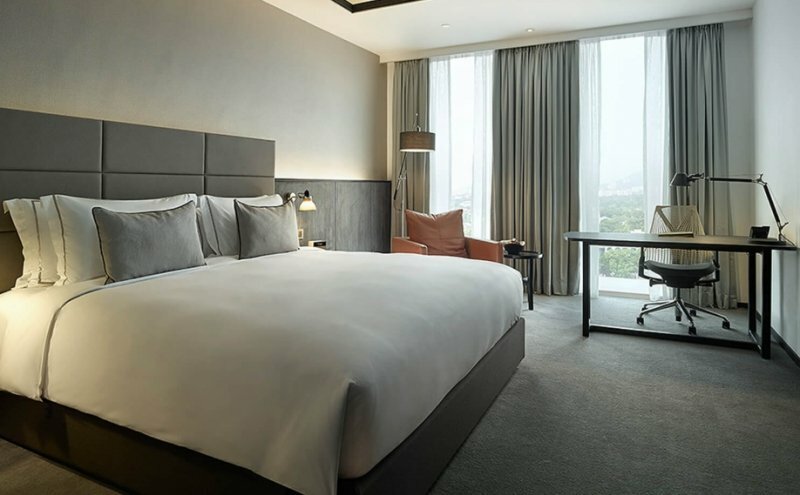 Double Tree Resort by Hilton Penang is nestled in the dynamic northern area of Penang Island, amongst the sandy beaches and bustling nightlife. Featuring complimentary shuttles to George Town, Double Tree Resort is the ideal selection for those who prefer a splash of luxury in addition to being able to conveniently reach the top sights in Penang. There are 316 rooms in this classy establishment, many of which have a private balcony with stunning coastal views. There’s no shortage of ways to keep yourself entertained throughout your stay. There are plenty of activities on offer, even specific areas for kids to have fun. You could go swimming, treat yourself to a massage or get a quick workout in the fitness centre overlooking the sea. In addition, you can also visit Malaysia’s first teddy bear museum here! 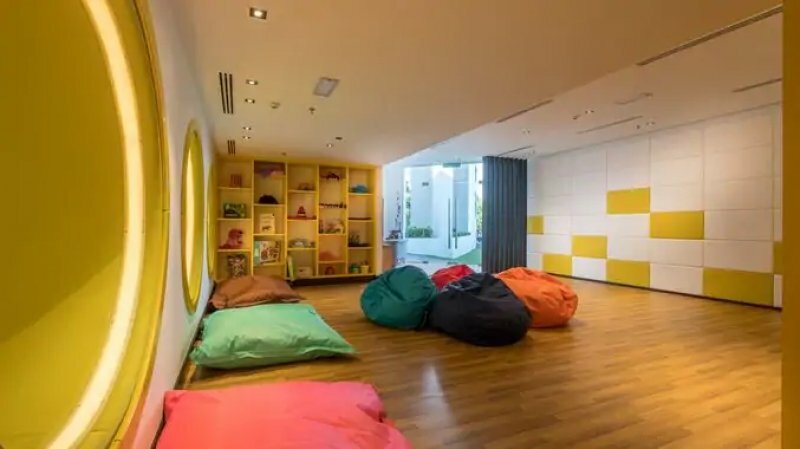 So, if you have kids, they’ll definitely love staying at this resort. Looking for something to fill your belly? Then you’re in luck because there are heaps of gastronomic delights in the resort featuring diverse flavours and cuisine. If you’re looking for a good nightcap, head to the Axis Lounge and end the day with some premium cocktails. Ah, such bliss! 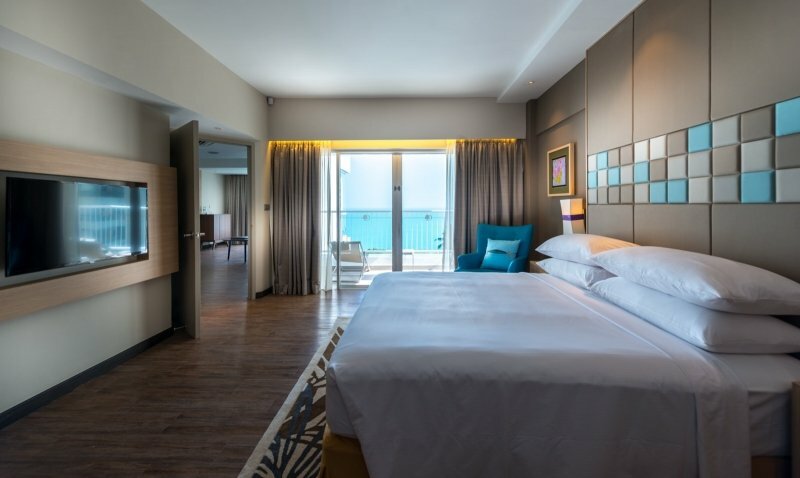 Unlike most of the other establishments on this list, Vangohh Premier Hotel is actually located on the Penang Mainland, on the other side of the Penang Bridge. While this slick, new hotel might be a little out of the way in terms of conventional location, it certainly more than makes up for it with classy hospitality. The hotel is housed in Vangohh Eminent, one of the mainland’s newest exciting social hubs. Vangohh Premier Hotel combines luxury and bliss in a quiet location far away from the tourist hordes of George Town. Each room is tastefully decorated according to unique themes such as Alice in Wonderland, a Japanese Zen Garden, and even a Mini-Cooper inspired ensemble! There are also plenty of options to wine and dine around. Vangohh Eminent features a fine selection of eateries specialising in international and local cuisines. 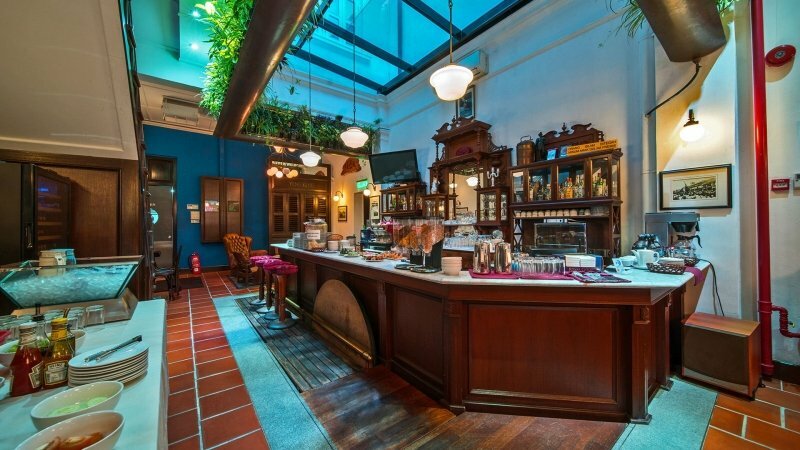 There are also multiple cafes and bars. You could even stroll among verdant greenery at the Roof Top Sky Garden or go for a swim to relax. If you’re visiting Penang and want a quiet, luxurious retreat, why not give Vangohh Premier Hotel a try! If you simply love being in the heart of all the action, then you’ll enjoy staying at G Hotel Kelawai. Strategically located in one of the main hotspots of Penang tourism (Jalan Kelawai), G Hotel Kelawai is within walking distance of plenty of traditional temples and attractions. Gurney Drive, with its astounding array of eateries and hawker centres, is almost quite literally at your doorstep! 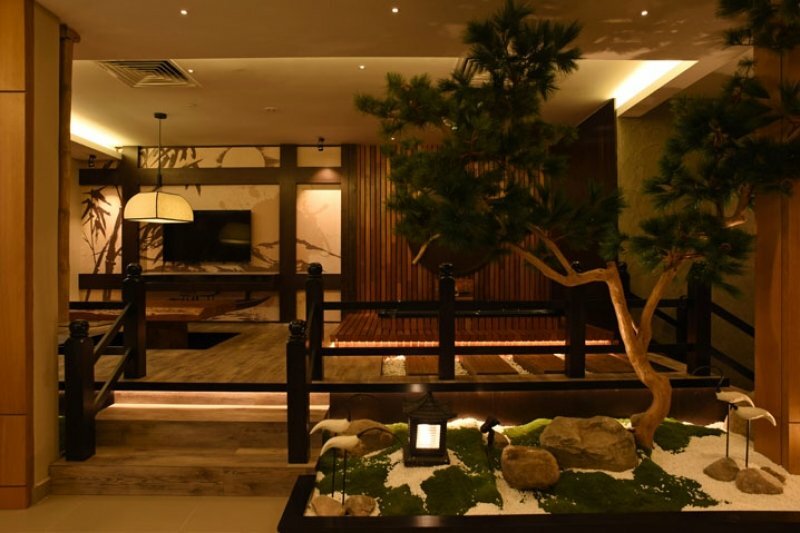 The classy rooms, each uniquely designed to reinvigorate the mind and body, exude a sophisticated charm and is certainly deserving of all the high praise that has gone their way. Pick any one of the 208 rooms and you’re guaranteed to be in for a relaxing time. Speaking of touring the city, did you know that you can rent bicycles from the hotel? 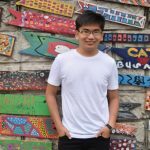 That’s right, hunting down Penang’s famous street murals has never been easier! 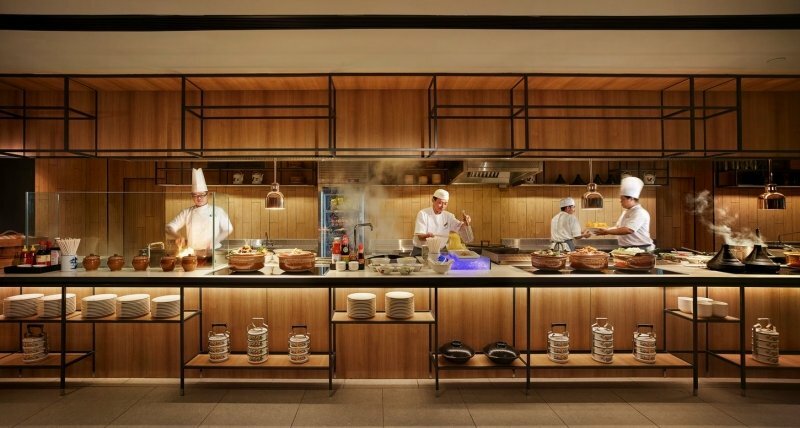 What’s more, the onsite cafe, Spoon, serves up some exquisite dishes for brunch and dinner, offering a myriad of international cuisines. As the sun dips below the horizon, patronise the Gravity rooftop bar for a lovely drink. 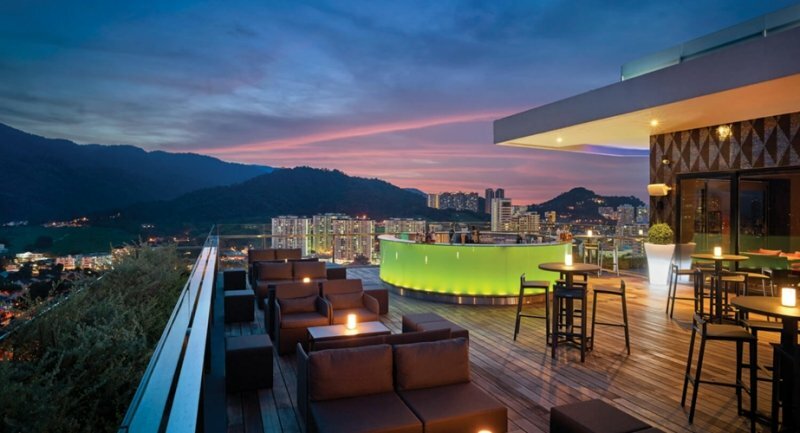 From there, you’ll also be able to enjoy the view of Penang’s night skyline. It’s actually one of the hotel’s best activities! If you’re in the mood for a workout, you can also utilise the gym. Alternatively, you can also go swimming at the rooftop infinity pool. Now THAT’S a vacation to remember! Start planning your dream island vacation today by snapping up these fantastic AirAsia flights from only SGD50 one-way, all-in! A blissful time of relaxation awaits you in Penang, so hurry and BOOK NOW for travel from now to 31 May 2019! And there you have it, 10 excellent hotels and resorts that you can stay for under $200 per night. From heritage hotels to luxurious resorts, Penang truly has some amazing accommodation options to fit any kind of traveller. The only real downside is that you might get so comfortable that you forget to explore the rest of Penang! Brought to you by Penang Global Tourism.